The second weekend of December is here, and we think that justifies a festive tipple or two. As gin lovers at The Amazing Blog, we were thrilled to come across six new spirits - we're certainly never averse to a spot of gin tasting in the name of research! Whether you're a connoisseur or not, we're sure that you'll find a suitable botanical to mix with your favourite tonic, add to a signature cocktail or gift to a gin lover in your life. 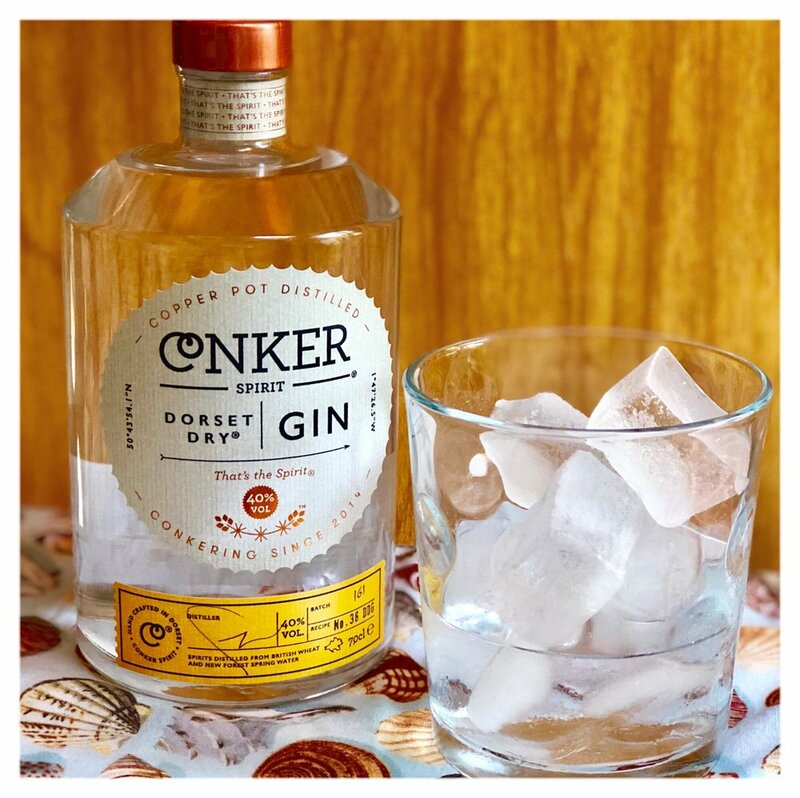 Firstly, we discovered Conker, based in Bournemouth and known as Dorset's first gin distillery. They pride themselves on being free from traditional constraints, instead, evolving their Dorset Dry with meticulous testing and tweaking; producing a gin that has a strong focus on quality, rather than industry expectation. We don't mind admitting that we were dubious as to whether this approach would produce a suitable outcome, but in fact, the delicious taste of this gin speaks for itself, proving this assumption very wrong. Whether distilled traditionally or not, we are suitably impressed. Despite their no-fuss approach, Dorset Dry is still a classic dry gin. The fresh taste is thanks to the use of ten unique botanicals, including Dorset elderberries and samphire, as well as handpicked New Forest gorse flowers. We were pleased to see the use of local ingredients, including British wheat spirit and New Forest Spring Water, both adding subtle and different flavours. We particularly enjoyed the light and refreshing taste, still smooth enough to be consumed neatly over ice, or equally enjoyable when mixed with a good quality tonic. We also found it works well with a dash of ginger ale, for a spicy and fresh tipple. Purchase Conker's Dorset Dry here starting from £21.50 (350ml). If you're a traditionalist at heart, then Hayman’s may be the gin brand for you. Producing gin since 1863, Hayman’s have a wealth of knowledge, passed down between generations. This has unearthed a brand that is committed to championing traditional methods, and through priding themselves on creating truly English Gins, Hayman’s have produced a collection of delicious spirits, that certainly stand out amongst the crowded gin market. For us, sloe gin optimises December and Christmas, the ideal tipple for an evening spent by the fire (or perhaps Father Christmas’ spirit of choice). 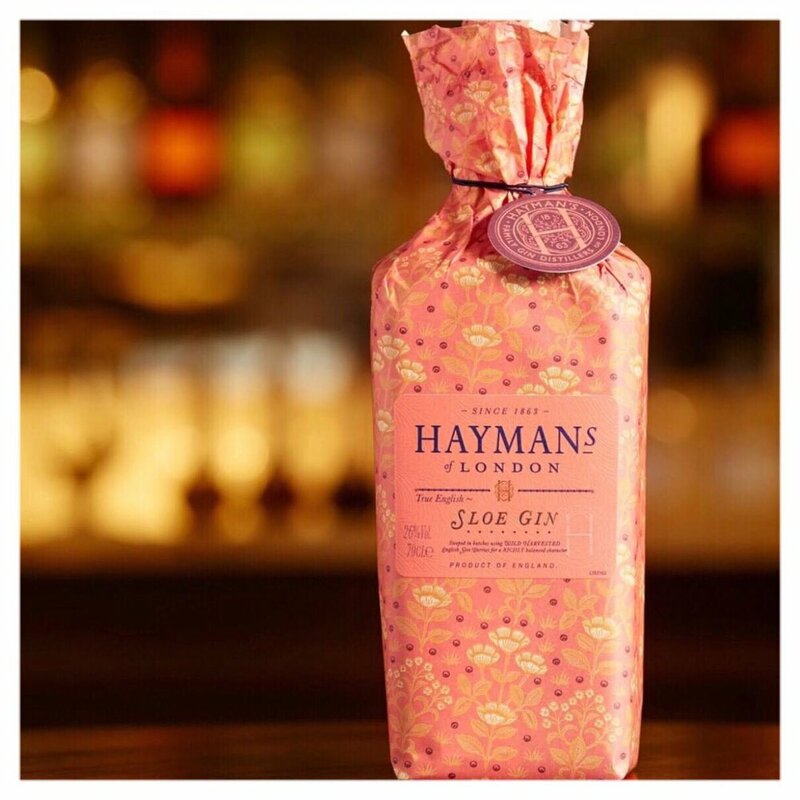 We tried Hayman's Sloe Gin, a handcrafted spirit that is distilled using a fifth-generation family recipe. Thanks to the use of English wild-forage berries, this gin has a plummy aroma and fruity taste, particularly popular among those of us with a taste for almond. Made from harvested English sloe berries and Hayman's English Gin, the ingredients are steeped for four months, giving a broad and bursting flavour. Due to the lower alcohol content of 26% ABV, this gin is delicious when consumed on its own, or when mixed with prosecco, for a party worthy Sloe Royale. We must also mention the packaging, launched nationwide in Marks & Spencer; the bottles are wrapped in limited edition paper, perfect as a gift for gin lovers, or merely to add a bit of festive cheer to your spirit cabinet. To purchase your own Sloe Gin for £26.00, head into a local Marks & Spencer store or visit the Haymans website here. Despite the name 'London Dry Gin', it is not only manufactured in the UK. Strane introduced us to their Swedish offerings, made at Smögen Whisky, a small craft distillery on the Swedish west coast. As a whisky company, we found it interesting that Strane have applied their whisky process to gin making, focusing heavily on the blending process. Launched in 2014, Strane's blending process is designed to ensure that each gin has a distinctively different outcome, with different proportions of botanicals added to each of the three offerings. What impressed us, is the quality control of this small batch company, trialling and testing on a constant basis to re-balance the final product. We tried two of Strane's gins: Strane Merchant Strength 47.4% ABV and Strane Ultra Uncut 82.5% ABV. Both are handcrafted in small batches of around 45 litres and are mixed by master blender, Pär Caldenby, who ensures each of the three gins is mixed precisely. Merchant Strength has an intense depth of character thanks to the use of juniper, coriander and mint. Strane also include two secret botanicals, one local, and the other, typical of the ancient trade of the armed merchant ships. Although we can't spill the names of these ingredients, we certainly enjoyed the gin with a good quality tonic and a classic lemon garnish. Strane's Ultra Uncut gin is an explosion of strength, yet is still a delicious gin to be consumed with a good quality tonic. Thanks to the use of cinnamon, sweet almond and sage, this gin has a botanically strong taste, which is rich in juniper, and heavily citrusy with notes of lemon peel and garden mint. Try it for yourself here for £33, or if you're feeling less adventurous, try Strane's Merchant Strength for £39.83 here. Finally, thanks to Esker Spirits, we were transported to Scotland and introduced to two final additions to our (ever-growing) gin cabinet. With a desire to create premium spirits, Esker's first distillery was housed in a humble back garden shed, which has now impressively evolved into a distillery on the Kincardine Estate. As a family-owned distillery, ingredients are sourced from the local area of Royal Deeside, and it is the silver birch sap, in particular, that is characteristic of their unique spirits. Thanks to this ingredient, Esker Spirits have a classic yet distinct flavour, distilled traditionally in a copper pot still, creating delicious gins that we couldn't wait to try. Firstly, we tried Esker's Traditional Gin, with citrusy notes, thanks to the use of orange peel. This is a refreshing gin, with floral undertones that are characteristic of rosehip and heather flowers. We found this gin is best mixed with a good quality tonic (we liked it with elderflower tonic especially) and the citrus flavour really pops when served with a small amount of orange peel. It is also delicious when added to prosecco, add a cordial of your choice, and wow your party guests with a delectable (yet simple) cocktail. Equally, if you're looking for a spicier alternative, then Esker's Honey Spiced Gin is the answer. Thanks to the use of pink peppercorn and cassia, this gin has a warming kick, enough to warm the cockles after a long week at work. Although this can be served with traditional tonic, we enjoyed it immensely when served with ginger ale and orange peel, the ultimate long drink to accompany an evening of present wrapping. Purchase Esker's Traditional Gin for £36 here, or Honey Spiced Gin for £35.30 here. How's that for some gin cabinet inspiration? Whether you're searching for a gift, a companion for your festive cocktail recipes, or even a spirit to put hairs on your chest - we're sure one of these gins will be your answer. Enjoy!